Angry Birds GO! receives a major overhaul in v2.0: a redesigned campaign, a new upgrade system for karts, new challenges and much more. Update out now on Android and iOS. After this update, all karts, characters and tracks you unlocked are removed. You start over, but all the karts that you purchased before are converted into gems, so it’s not totally starting from zero. 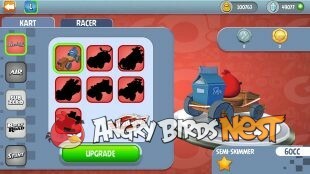 We’ve listened to your feedback, and after a quick pit stop, we’re happy to introduce Angry Birds GO 2.0! – IMPROVED CAMPAIGN MODE! The campaign gets a total overhaul. – NEW UPGRADE SYSTEM! Collect parts and upgrade your karts. – LIMITED-TIME TOURNAMENTS! Compete to win prizes! – DAILY RACES! Enter a new race every day and find a hidden gift box. – NEW HANDLING SYSTEM! We’ve tuned every kart for better handling. Let us know what you think of the new update by leaving a comment below. If you need help or want to talk Go! 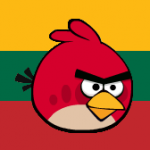 be sure to check out our Angry Birds Go Forum. It is Saturday morning here (Finland). So I presume nothing gets fixed before Monday. Why release an untested update at the start of weekenbd???!!! It happened exactly the same to me! After the last update the game crashes every time. It’s impossible to race and also to access the karts and characters without the game crashing. In a way I’m relieved to see I’m not the only one. 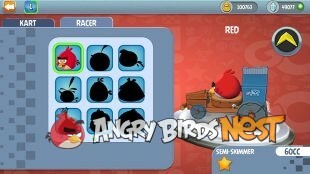 Rovio must do something quickly to solve the problem. Hmmm. This time I got little further at the carts menu. The menu actually appeared before the crash. Otherwise it is still as bad. Attempts to start a race just substract from the energy and then crash. But maybe they’ve started to try something. Update 2.2.10 starts to get much better with fewer crashes! Still some black screens and freezes but overall better experience now. Telepods scan doesn’t work most of the time. When it does, it allows you to race for coins free of energy, but pretty much useless I would say, compared with previous game as it does not give you any missing kart. My telepods don’t work when I scan the telepods they are supposed to unlock the car the figurine looks like, well I scanned bomb and big boom gave me the weak car with the tape wheels! And I scanned Stella with the pinky tonk, it let me have a go with the car but didn’t unlock it. Said I had to pay 500 blueprints for it. Is that how it’s supposed to be or are my telepods fake or glitchy?